Having analysed the golf industry, Vice Golf made a huge shift by cutting out the middlemen and offering premium golf balls directly to their customers at lower costs. The same can be said of the Vice FORCE, which was inspired by the current market situation. High-quality golf bags are sold at eye-watering prices and often fall short of expectations. 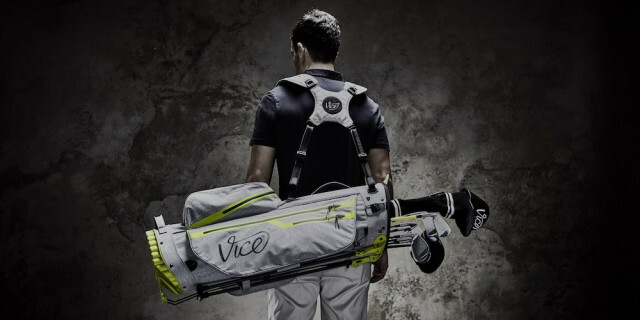 Applying the direct-to-customer approach in premium carry-bag segment is a novelty in the industry, so Vice decided to put a year of planning, designing, prototyping, testing, re-shaping, adjustments, until they felt that they had created a bag that exceeds the hopes of even the most demanding golfers. What makes this bag so good? Vice decided to manufacture an ultra-light 100% waterproof carry bag with 100% waterproof YKK™ AQUASEAL® zips, a 6-compartment with dividers over the full length and a carbon frame stand with extra-large pads for maximum stability in every situation. Known for their passion for detail, Vice included details like a velour-lined pocket for valuables, hookand-eye patches on the ball pocket and shoulder strap to keep the gloves handy during the round, a recovery side pocket for simple access to retrieve small items which may have dropped into the bag and a lot more. That´s not all. 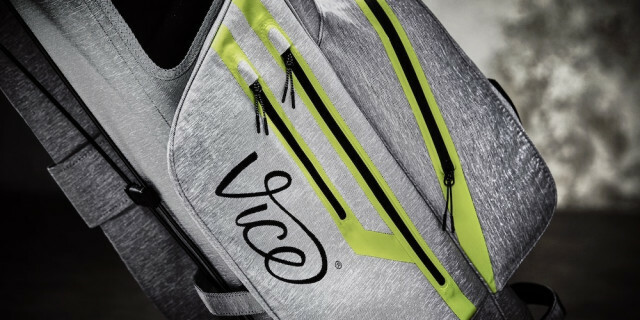 In order to be able to change your clothes after a round of Golf in a stylish manner, they have manufactured the Vice CACHE backpack which makes a great match to the Vice FORCE bag. For more information, visit https://www.vicegolf.com/uk/.